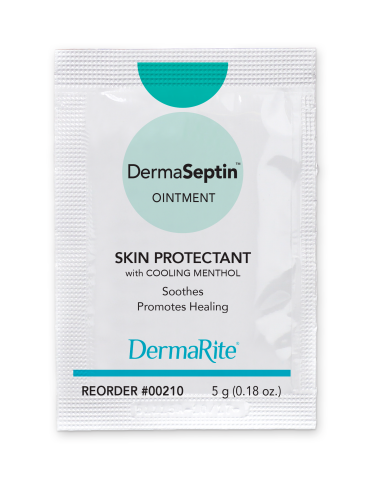 DermaSeptin™ Ointment Skin Protectant with cooling menthol soothes and promotes healing. Also helps dry and manage weeping skin from poison ivy, oak, sumac and other skin irritations. DermaSeptin™ Ointment Skin Protectant dries the oozing and weeping of poison ivy, oak, sumac or other skin irritations. Apply sparingly and gently rub into skin completely, leaving no visable residue.